My goal for the year is capsulized in my word for the year, which is SIMPLIFY. Beyond that, I have vision, and ideas, of course, but I get freaking anxious thinking about all that these goals require me TO DO. So, I am trying a different approach, one more consistent with my spiritual beliefs. That unless I am "EMPTY" (of the myriad plans, visions and goals for my life, for instance) then I cannot be FILLED (led intuitively) to where it is best for me to "GO" or "BE". Letting LIFE itself lead me, spiritually, intuitively, rather than try to blast down the doors I see all around. More YIN than my naturally inclined YANG nature. 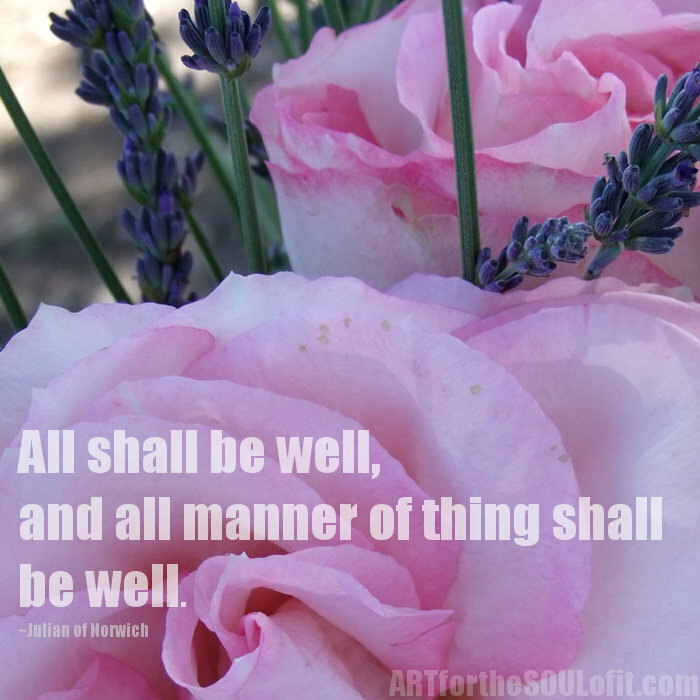 Maybe it's age, maybe it's TRUST (last year's meditative word) but a grounding in that "ALL SHALL BE WELL, AND ALL MANNER OF THING SHALL BE WELL" to quote Julian of Norwich. Leo Babauta used to write daily on ZenHabits.com. Fabulous writings and insights and I am so grateful the site remains live on the internet. Here's a wee bit on goal-setting. 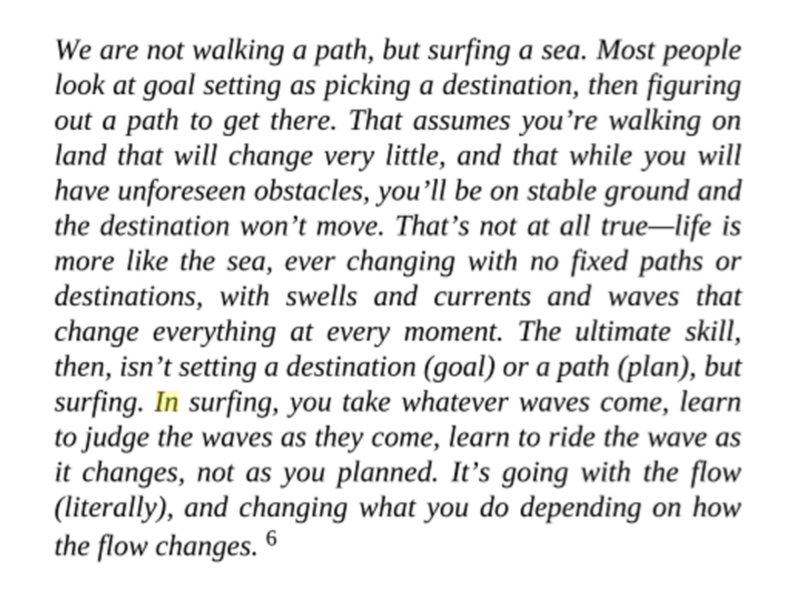 I find it interesting that earlier on in his blogging, he wrote about simple no stress ways to set goals, but eventually gave up goal-setting altogether. Check out this link. I am going to paint this year. Great post and I agree! Hooray, hooray! I want to be able to "like" your posts without posting to Facebook. I am phasing out of Facebook as much as possible. Life gets lost on Facebook. I LOVE your post. Love that, Margaret. Just paint! Glad you liked that, Eva. You funny girl, you. Hmmm, didn't realize it was so hard to get to the comments. I am still learning about setting up rss. Wonder if I set it to show an excerpt of the post, then folks would hop over to the site automatically? I'll continue to work on that, thanks for the heads up, Chris.